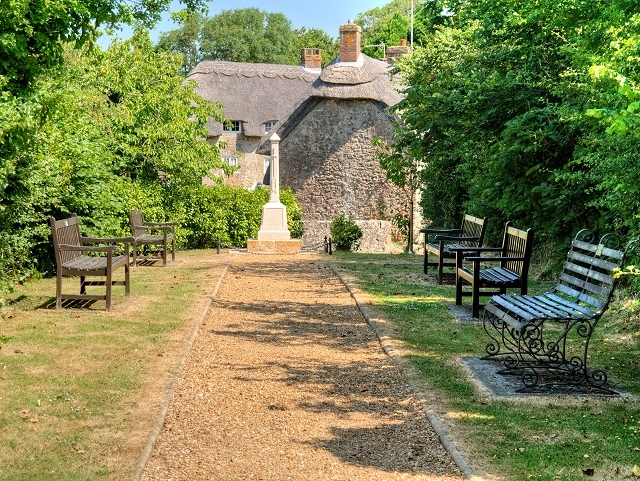 Almost 400 war memorials have been listed in the South East region this Armistice Centenary, including Godshill War Memorial on the Isle of Wight. Rachel shares this latest news on behalf of Historic England. From a memorial which commemorates one of the oldest men to fight in the First World War who was determined to serve alongside his four sons, to a monument which marks one of the worst explosions in the history of Britain’s explosives industry Historic England has completed a project to list 2,500 memorials across the country to commemorate the centenary of the First World War. 391 have been listed in the South East region, including Godshill War Memorial on the Isle of Wight. Before the project began there were more listed telephone boxes (2,486) than war memorials (1,657) in England. Throughout the centenary period Historic England has been working in partnership with War Memorials Trust, IWM, Civic Voice, volunteers and school children across the country to better understand these important local landmarks and protect them for the future. To mark the centenary of the end of the war Historic England is publishing a new book Legacies of the First World War: Building for Total War 1914-18. By examining archaeological and architectural remains, from airfields and hospitals to submarines and practice trenches, this book uncovers the physical remains left across England by the First World War. The range of what was discovered is astonishing, reflecting how the home front became as important as the battlefront. It was the place to train and equip new armies, to manufacture armaments, to treat the wounded and to grow more food. As millions of men joined the armed forces, women entered the workforce in munitions factories, as tram and bus conductresses and as farm workers. Each war memorial tells an important and moving story of both public and personal commemoration. Built by individuals and communities in the years following the conflict, these memorials are a poignant, physical reminder of the sacrifices and loss brought about by the First World War. Never before in the history of Britain had there been such terrible loss of life in war and there was a profound national yearning to permanently commemorate the dead and missing. The official policy of not repatriating the dead means that these memorials, often standing right in the heart of our villages, were the main focus of grief for thousands of families and communities across the country. Tens of thousands of memorials were built, the majority paid for by money raised locally, and huge crowds of emotional people turned out at unveilings. “The First World War was a period of unprecedented loss for families across the country and after the Armistice communities sought to commemorate their fathers, sons, and brothers who sadly never returned. “The stories behind these memorials are very moving and each one tells us how devastating the First World War was for communities across the country. Over the centenary 2,645 war memorials have been listed or upgraded. Of these, 21 at Grade I, 99 at Grade II*, 2,519 at Grade II, plus six Registered war memorial Parks (Gheluvelt Park, Whipsnade Tree Cathedral, Promenade de Verdun, Ilkley Memorial Garden, Highbridge Garden of Remembrance, Rickerby Park). Find out more on the Historic England Website.